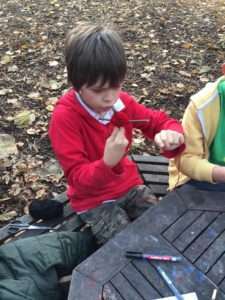 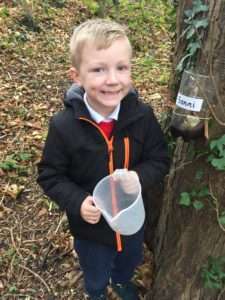 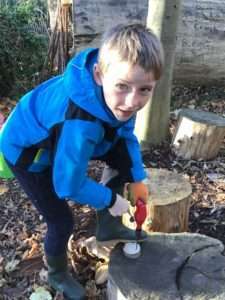 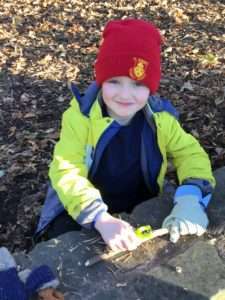 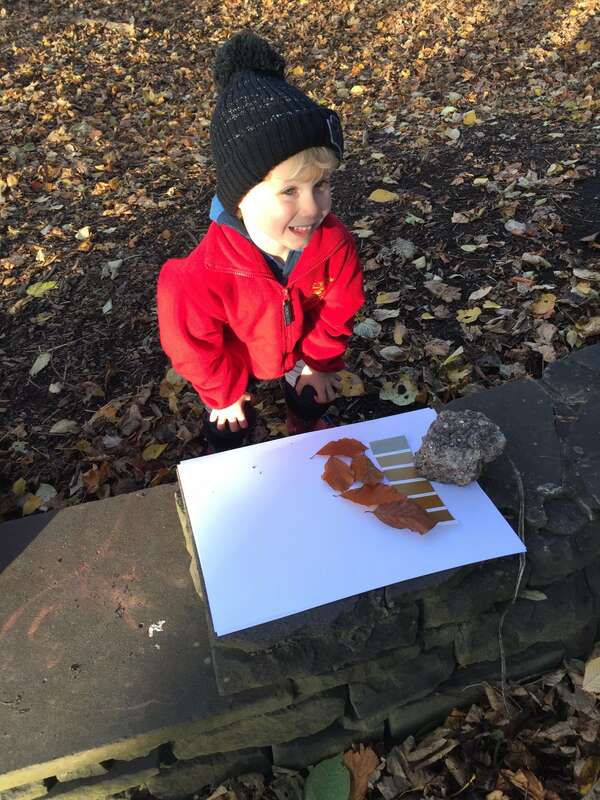 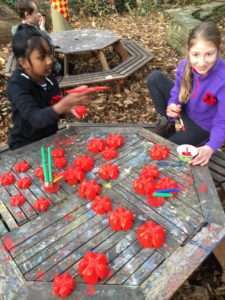 Most of the Forest School sessions during November were dedicated to making poppies using a variety of mixed media including glass, clay, wood, wool, plastic, wire & stone. 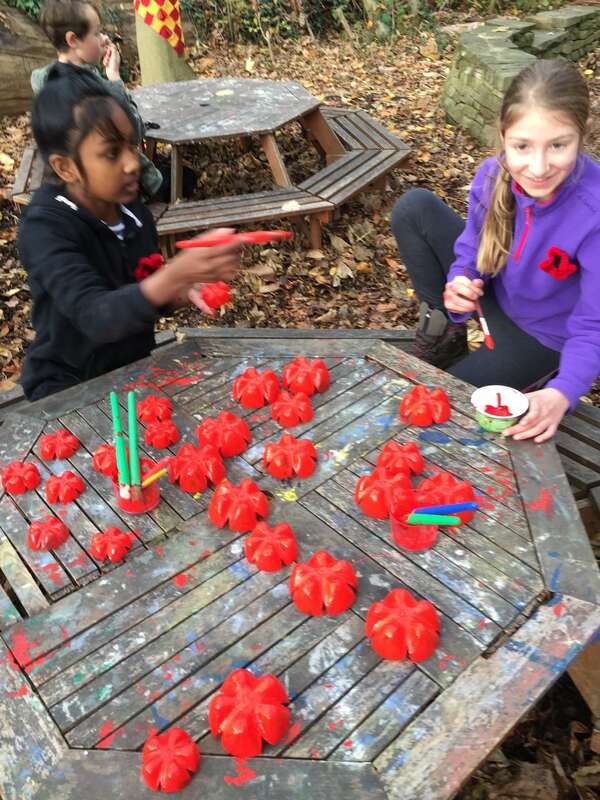 The completed work was displayed in school as part of our Remembrance Week. 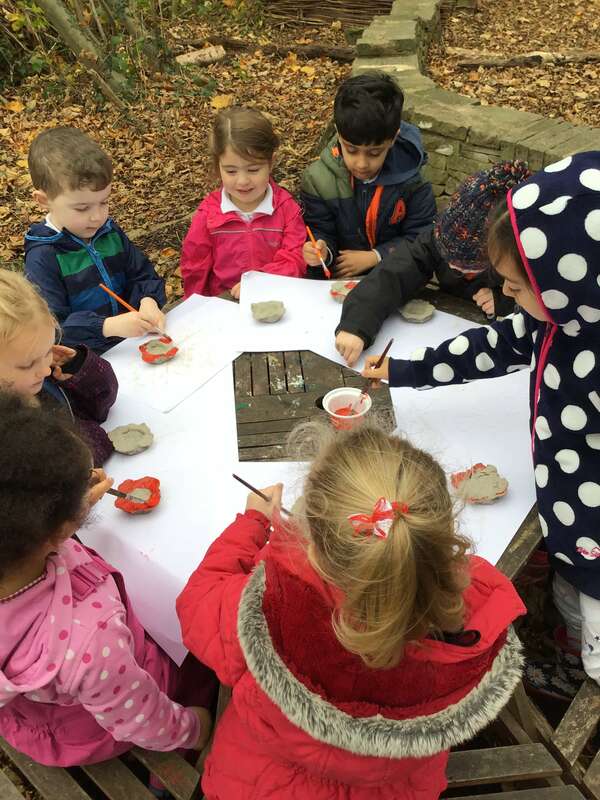 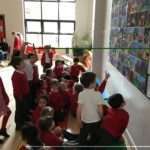 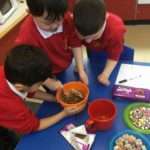 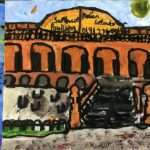 The children also completed work related to their topics including leaf colour matching, measuring rain water, decorating clay shabti & making Anglo Saxon brooches. 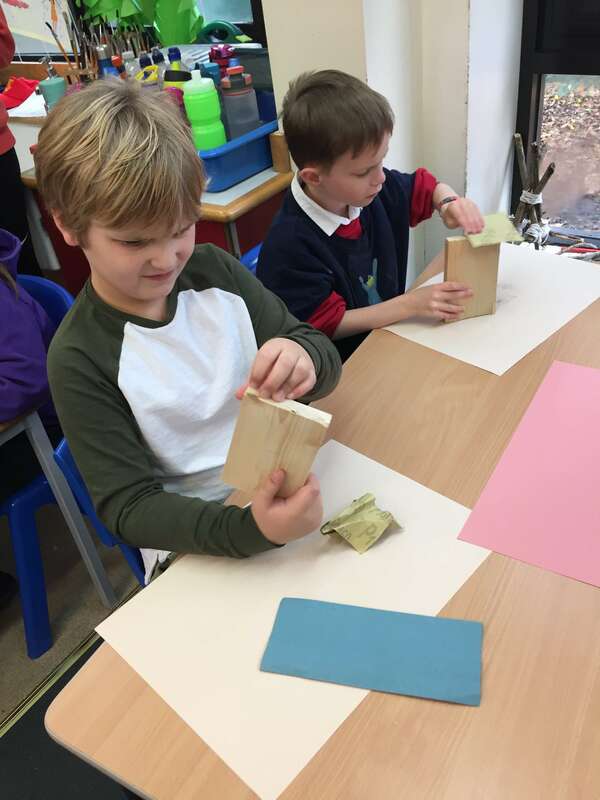 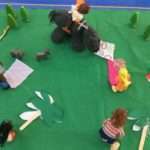 A lot of the children also had the opportunity to work with wood learning new skills including sanding, whittling & drilling.